One of the newest trends in gym is the so-called “anytime” gym. Much like 7-11, these gyms are open around the clock. It might seem odd to get in a workout at 3:00 a.m. but surprisingly enough there are plenty of folks who are working odd shifts and their three in the morning is like high noon for the rest of us. The 24 hour gym concept developed out of a need to provide flexibility for members. On many levels, that’s why you made the investment in your own treadmill or other gym equipment. You wanted the option of working out whenever you wanted to. If you could squeeze in some time before work or late at night so be it. All you had to do is head to the garage or basement or spare room and off you go. But then something happened along the road of you losing that extra weight, didn’t it? Admit it; you got bored. Now that treadmill has become the perfect spot to hang your shirts but the idea of climbing up for another monotonous run is too much to consider. Maybe it’s time to head back to the gym. Becoming a gym member is all about variety. 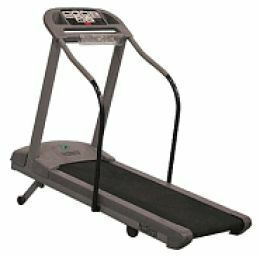 You won’t be stuck running on that treadmill when you can take a spin on a stationary bike or power walk on an elliptical glider. Then there are all the classes to pick from. A decent gym should have a full schedule of aerobic work outs. These come in many forms from spin classes to dancing and free weight workouts. That’s what you should be looking for as you consider a new gym membership: variety. The other benefit with joining the gym is that you’ll be surrounded by professional trainers. This doesn’t mean you have to sign up for a training package but most gyms offer a free initial training orientation. This will allow you to get professional guidance for a work-out routine. Making sure you do the exercises correctly is half the battle. The rest is all up to you! Finally, becoming a gym member is also the perfect excuse to get out of the house. Even with the best intentions of a home gym can’t guarantee you’ll be left alone to focus on your workout. How many distractions do you have in your home? Kids? Pets? Significant others? Let the gym be your true workout oasis. Once you make that commitment to join the gym, you’ll certainly want to get rid of that old gym equipment. You can accomplish this task by hiring Junk King Charlotte. Don’t fret over the idea that it will take a team to move that treadmill because that’s just what you’ll be getting when you hire Junk King: a team of professional junk haulers. As soon as that old equipment is removed you can reclaim that space and dive full force into your new workout. This entry was posted in Charlotte Appliance Disposal, Charlotte Junk Hauling, Treadmill Disposal and tagged Charlotte Appliance Disposal, charlotte furniture pickup, Charlotte Junk Hauling, Charlotte Junk Removal, get rid of junk charlotte, Junk King Charlotte on October 17, 2012 by Terendius David. Last updated August 2, 2017 .